Dory Figueroa-Rivera of Hereford, PA passed away Monday November 12, 2018 at Lehigh Valley Hospital-Cedar Crest. Born in Rio Grande, Puerto Rico, she was a daughter to the late Julio Rivera and Ana Maria Figueroa. Born in the Sea of Land, her youth was a story of fairy tales...when she was in the second grade, as soon as she learned to write, she changed her name to Doris Esther Rivera. At the age of 16, she moved to Newark, NJ and eventually settled in New York. As a child, she gave her life to Jesus, and as an adult she dedicated her life to Jesus Christ. She went back to school to complete her education and then went on to Juan 3:16 theology school where she graduated with Honors. She went on to establish 7 churches and founded Abraham Christian Church and Centro de ninos charter school. She was a humble missionary. Dory fed, clothed, and gave land to the needy and poor. Most of all she fed all with the bread of life. The name Jesus Christ! Let us be of great joy for she is in a better dimension. She's in her new position...God the Father has called her home. Come into my rest my faithful daughterby myself by the finished work of Jesus Christ. It is finished to begin in the Heavenly Places. We, her children have and posess her inheritance for us. 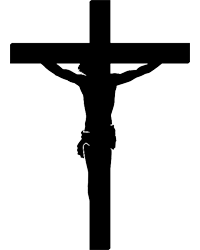 God the Father love by Jesus Christ giving his body for us and His blood as payment for us. The power over death and the gift of eternal life. The knowledge and the (Fear) Reverence of the Lord. We shall honor her memory as she lives in our hearts. Anita Torres, Lisa Jones, Joel Colone, Shelly Spears & Abraham Spears.